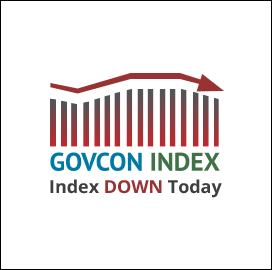 The Executive Mosaic GovCon Index closed down for Monday 0.194 percent to 95.026 with advancers outpacing decliners evenly split. 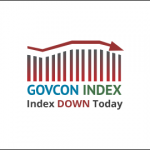 The major indices had modest movement on the day closing mixed, with the S&P500 and DJIA remaining in positive territory throughout the trading day. The NASDAQ was down spending a majority it’s day in the negative. WTI crude oil closed up for the third consecutive day day to $43.37 per barrel positive 0.84 percent as markets stabilize.